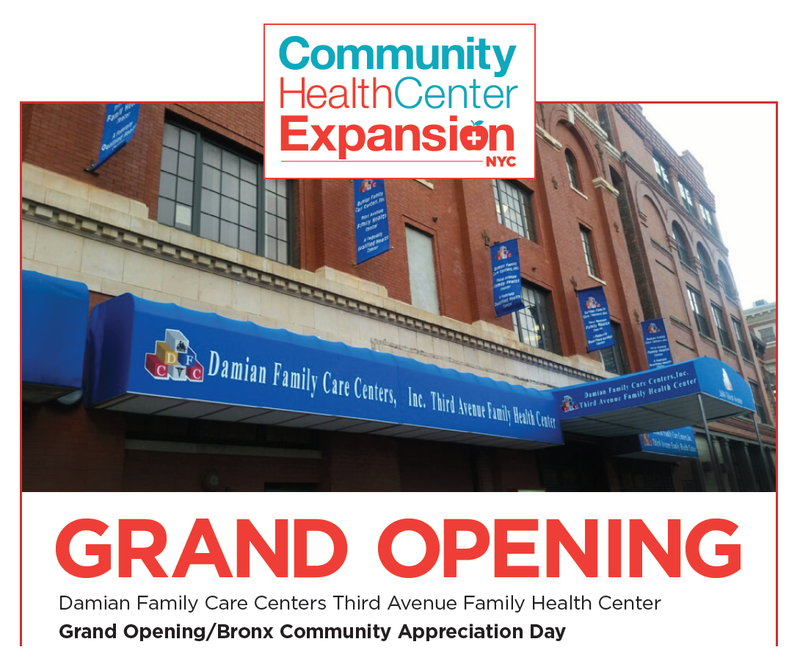 Following Mayor De Blasio’s Press Conference on April 21st, highlighting the official Grand Opening of the Third Avenue Family Health Center, on Thursday, May 12th we will join forces with various community based organizations, local schools and small business owners in recognition of this week’s 2016 Bronx Week Celebration. Please join the Third Avenue Family Health Center staff as we exhibit a small token of our appreciation for the Mott Haven individuals and families. Free Health Screens * Kid’s Corner (Face Painting, Bouncy House, Pampering for Moms, Pony Rides, Fun Give Aways) * Live Entertainment * And So Much More!! !